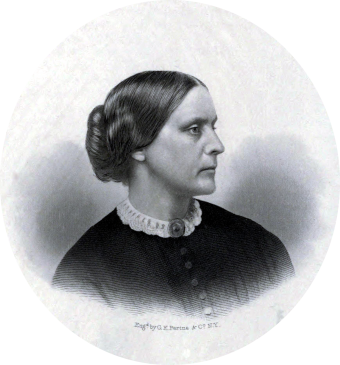 The verdict of Susan B. Anthony’s trial on June 18, 1873 was a foregone conclusion. When the attorneys for both sides had finished their arguments, the judge read from a piece of paper he had in his pocket the whole time. What was the crime that the judge didn’t believe was worth even hearing the defendant’s evidence for? Susan B. Anthony cast her vote in the first district of the Eighth Ward of Rochester, New York in the presidential election held on November 5, 1872. She asked Jones if he was familiar with the 14th amendment. Susan B. Anthony’s trial could hardly be called such, as she was not allowed to speak in her defense and the judge instructed the jury to return a guilty verdict. “The Fourteenth Amendment gives no right to a woman to vote, and the voting by Miss Anthony was in violation of the law” – a move that outraged not only Anthony and her lawyers but also some members of the jury. It also helped the cause of Women’s Suffrage in the court of Public Opinion. After being denied a motion for a new trial, Circuit Justice Ward Hunt finally asked Anthony if she had anything to say before sentencing, and she took her chance and ran with it.